All weather stations are equiped with the CR1000 or the CR3000 series Measurement & Control microprocessor built by Campbell Scientific Inc., Logan, UT, USA. This unit accurately measures to the microvolt level and controls peripheral devices. It also performs real-time calculations and stores the resultant data for later retrieval. The data logger is secured inside a NEMA IV enclosure mounted to the tower. Data Quality Assessment algorithms are incorporated into the data logger operational program as well as into near real-time post processing at the Kansas State University Weather Data Library. These quality assurance and quality control processes identify potential problems to the maintenance technicians and ensure that accurate data is available for processing, archiving, and dissemination. Soft Flag indicates a sensor reading outside of expected norms but could possibly be realistic measurements due to unusual weather extremes. Human interpretation is required to validate the data by checking nearby stations spatially and overall weather patterns temporally. If no other stations support the suspect data in a strict physical and statistical sense, then a technician is notified of the problem. Hard Flag indicates that the sensor has failed and must be repaired or replaced. The Kansas State University Weather Data Library communicates with all weather stations via data modems installed at each site. The modems are either Raven XT or LS300 models built by Sierra Wireless, Carlsbad, CA, USA. This system uses a commercial wireless provider contracted for data transmission only. Most of the weather stations are powered by a solar array with battery storage capability. A few stations are AC powered with solar/battery backup capability. An Apogee PYR-P Pyranometer measures incoming solar radiation in watt-hours per square meter. Every five minutes, the sensor is sampled for the most recent five-second measurement. A Vaisala HMP45, HMP60, or HMP155 probe is installed inside of a non-aspirated radiation shield. Both relative humidity and air temperature are measured. The wind monitor is a propeller anemometer mounted to the site tower. 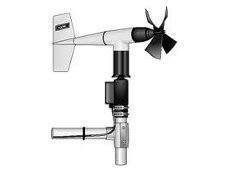 Wind speed and direction are measured by the revolution of the propeller and vane body, respectively. Precipitation is measured with a tipping bucket rain gauge. 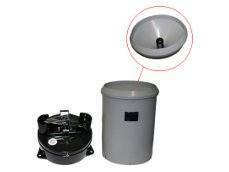 Most of the stations use a TB525 tipping bucket rain gauge built by Texas Electronics Inc., Dallas, TX, USA. 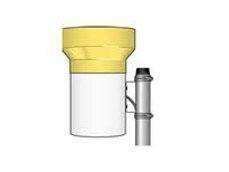 Several have been upgraded to heated siphon tipping bucket rain gauges built by Hydrological Services America, Lake Worth, FL, USA. Future enhancement plans are to replace all rain gauges with heated siphon gauges to enable year-round measurement of all precipitation events. 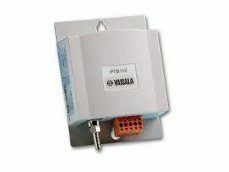 Selected stations are equipped with the PTB110 Barometric Pressure Sensor built by Vaisala. 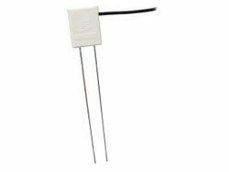 This sensor utilizes the Vaisala BAROCAP silicon capacitive sensor. Future enhancement plans are to install barometers at all weather stations. 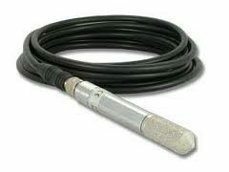 All weather stations take soil temperature measurements at 2 and 4 inch depths. 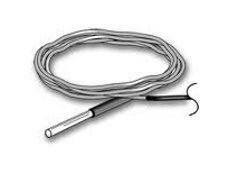 Built by Campbell Scientific, these sensors utilize the BetaTherm 100K6A1lA Thermistor. Selected weather stations have Soil Moisture Probes installed to measure the sub-surface soil moisture content at multiple depths. Most weather stations use probes built by Stevens Water Monitoring Systems Inc., Portland, OR, USA. 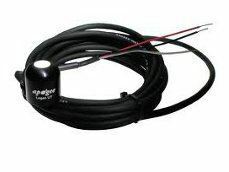 Several weather stations use CS655 Time Domain Reflectometer probes built by Campbell Scientific. Future enhancement plans are to install soil moisture sensors at all stations.